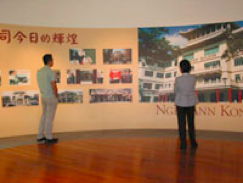 Ngee Ann Kongsi Heritage Hall was established in March 2003. The purpose is to commemorate the entrepreneurial and sacrificial spirit of the pioneers of The Ngee Ann Kongsi. 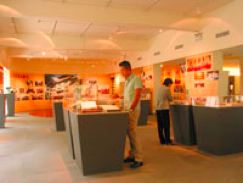 On display are archives and artifacts imbued with the rich history of The Ngee Ann Kongsi. Some memorabilia include record books and accounts books written in Chinese ink from the 1920s, furniture used in the council meetings and incense holders from the Wak Hai Cheng Bio that date back to the 19th century. There are also wall features and multimedia kiosks that contain detailed information of the inception, development, contributions and achievements of The Ngee Ann Kongsi.